At this year's American Association for Clinical Chemistry (AACC) meeting, a new pressure-driven flow system based on micropump technology was showcased. The micropump, Disc Pump, offers a host of advantages over conventional pumping technologies, and could be particularly useful in point-of-care diagnostic devices. We spoke to Tom Harrison, Business Development Manager, TTP Ventus, to learn more about the technology behind Disc Pump, and some of the applications it could benefit. Can you give us an overview of how Disc Pump works? In contrast to conventional air pumping mechanisms (such as diaphragm and piston pumps), Disc Pump is not a displacement pump, and therefore does not rely on the bulk compression of air within a cavity. Instead Disc Pump generates a high amplitude, high frequency acoustic standing wave within a specially designed acoustic cavity. 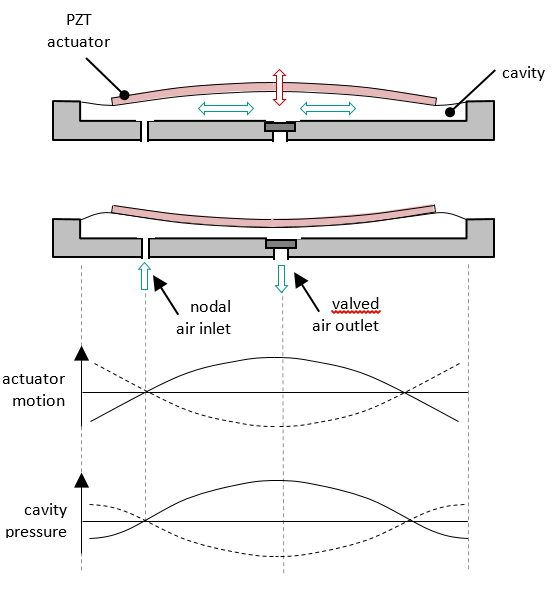 Figure 1 shows a simplified schematic: the out-of-plane (axial; red) motion of the actuator drives in-plane (radial; green) motion of the gas in the cavity and creates a standing pressure wave, resulting in the oscillating cavity pressure shown. The motion of the actuator is highly exaggerated: there is virtually no net volume change of the cavity during operation and at any given point in time there exists both a region of compression and a region of rarefaction within the cavity. What was Disc Pump originally developed for? How has it evolved since then? The first prototypes of the pump were originally developed for a micro fuel cell product targeting the business travel market. Having commercialised the first generation of the pump for a wound care application, we developed our current, second generation of the technology. This adds a second cavity (pumping chamber), which increased the performance and efficiency of the pump. How does the pump differ from typical gas pumps, and what advantages does this bring? Disc Pump cycles in excess of 20 thousand times per second, which is one or two orders of magnitude faster than traditional pumps, and above the limit of human hearing. This makes our pump silent, which satisfies the growing consumer appetite for quieter products – whether for home or hospital use. A second benefit of high frequency operation is that each pump cycle can move a smaller quantity of air than compared with a low frequency pump, in order to deliver the same pumping output. This results in a reduction in pulsatility in the pump output, providing more stable pressure and flow. In our case, the reduction in pulsatility is so substantial that the pump is virtually pulse-free. This also eliminates mechanical vibration, too. From a standing start, Disc Pump can ramp up to maximum output in a few tens of cycles: at 50 microseconds a cycle, this means that the pump offers a full-scale response in a matter of a few milliseconds. The ability to react this quickly to set point changes, without latency or delay, makes Disc Pump invaluable in real-time control applications. And with the ability to adjust the pump output every millisecond, almost any arbitrary output profile can be created. The pump weighs only 5g (< 1/5 oz) and has a volume of just 7 cm^3. This compact form factor means that the pump is ideal for integration with products that have tight requirements for size & weight – such as wearable medical devices, portable instruments and hand-held point-of-care diagnostic devices. The combination of smooth flow and responsiveness means that Disc Pump can be controlled to hold incredibly steady pressures and/or flows. This is useful for improving system performance. For example, in a digital inkjet setting, holding the pressure inside a print head flat and constant maximises the quality of the print – this is because the process that results in individual droplets being ejected is made more repeatable drop to drop. Can you give us a few examples of some of the applications that the pump could benefit? At present, we are focusing on: wearable medical devices, gas sampling / sensing, and microfluidics. Silent operation - less irritation to patient and disruption to healthcare environment; compact - makes portable/wearable products possible. Ultra-smooth flow reduces perturbations in air flow which means that sensitive measurements carried out on the gas are not adversely affected; also, with other pumps, substantial measures are often taken to reduce perturbations, e.g. by including baffles or accumulators into the system – these make the system larger and more bulky. Millisecond response means that the pump can be turned on instantaneously in response to a trigger condition – e.g. the Owlstone Medical ReCIVA Breath Sampler, where the pump is turned on when the output of the pressure sensor hits a certain trigger condition allowing Owlstone Medical to capture exactly the fraction of exhaled breath that they are interested in. As medical devices – i.e. compact, silent. Silent - doesn’t disturb sleep. High-precision control means that pressure can be held incredibly accurately. This is critical as printhead operation is typically very sensitive to precise and stable pressure control; where it is unsteady, the print quality suffers. Can you tell us more about your partnership with Owlstone Medical? How has Disc Pump benefited the ReCIVA Breath Sampler? - The millisecond response of the pump allows ReCIVA to switch the pump on/off in an instant in response to a sensor that monitors pressure levels. This is important in enabling Owlstone Medical’s device to respond in real-time to the patient's breathing patterns and capture only the fraction of breath of interest – for example the enriched bronchial or end-tidal fraction. - The fact that the pump is small and lightweight means that Owlstone Medical have been able to create a similarly small and lightweight device. Given that the device is strapped to the patient’s face for several minutes, the lighter, the better, in terms of patient comfort. - The fact the pump is silent and vibration free also contributes to a positive user experience, and does not further clutter the often-noisy healthcare environment. ReCIVA won Invention of the Year in the 2017 Top 50 Digital Health Awards and is currently on show in the Science Museum in recognition of its potential to revolutionise healthcare diagnostics. What future developments are in the pipeline? We have a range of development programmes in progress, variously looking to enhance the performance of existing pump designs and to introduce entirely new pumping mechanisms and architectures that will form the basis of our 3rd and 4th generation designs. 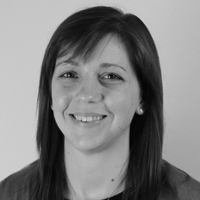 Tom Harrison was speaking to Anna MacDonald, Editor for Technology Networks.